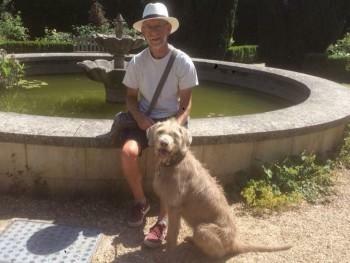 A man who lost his dog on holiday in Dorset claims she has become feral. Stephen Emery, aged 65 from Kent, was staying at the Camping and Caravanning Club in Moreton during July last year when he lost his dog Inca. He was on a walk with his wife in a nearby forest when Inca wandered off into the woodland. He believes she is still alive and has been living off pheasants and rabbits. Mr Emery explained: “We were off for a walk in the morning from the campsite and on the way back, she walked off into the woods. He then spent the next four hours looking for her before contacting police, the vets and the local dog warden. He said he heard her barking in the wild that night, and thought she must have been chasing deer. “I would be out there looking for her, but there’s nothing I can do because I’m 100 miles away” he said. Mr Emery has since set up a profile for Inca on the website DogsLost and there have been a number of reported sightings of her in the area. The last reported sighting was last month and she was said to be looking fit and healthy. Mr Emery explained: “She’s been seen by a few people every few weeks or so. People out walking have either sent me a message or phoned me when they’ve seen her. The people at DogsLost have been fantastic, they’ve been out looking for her. Inca is a Slovakian Rough Haired Pointer. Hope the article brings more sightings in. It has brought 2 in today from people who don’t use social media. Hoping there will be more. They were on Monday and Tuesday this week, looking thin and very dirty. Time In a went home.